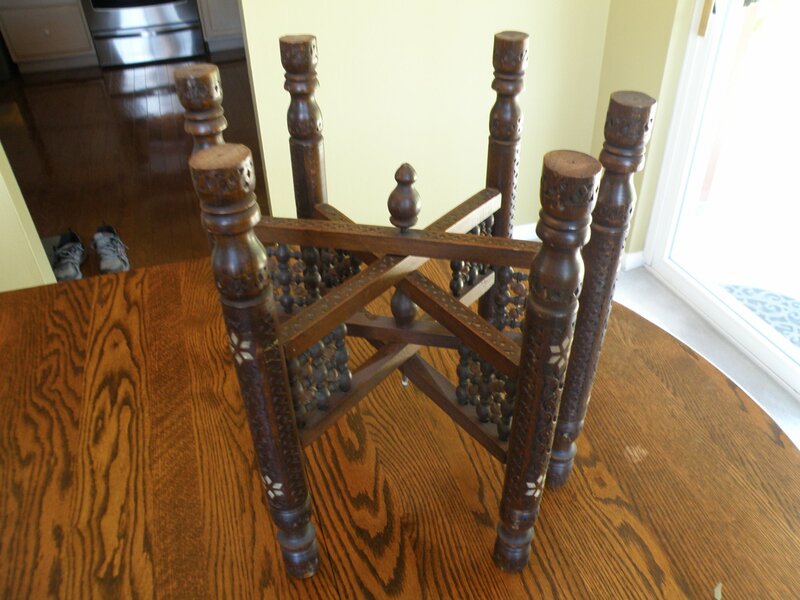 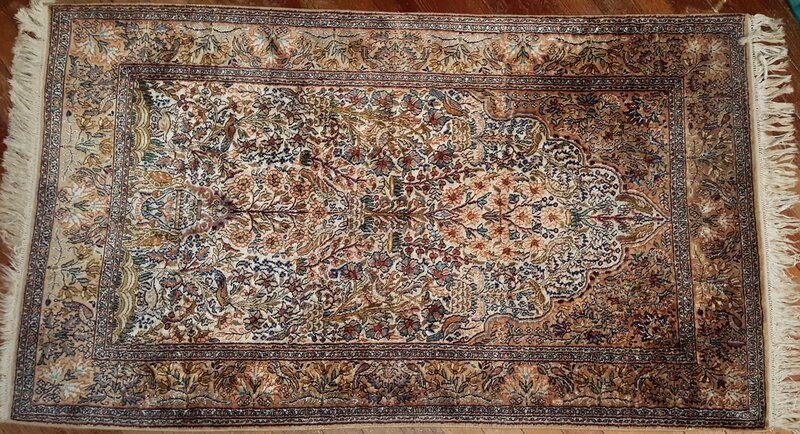 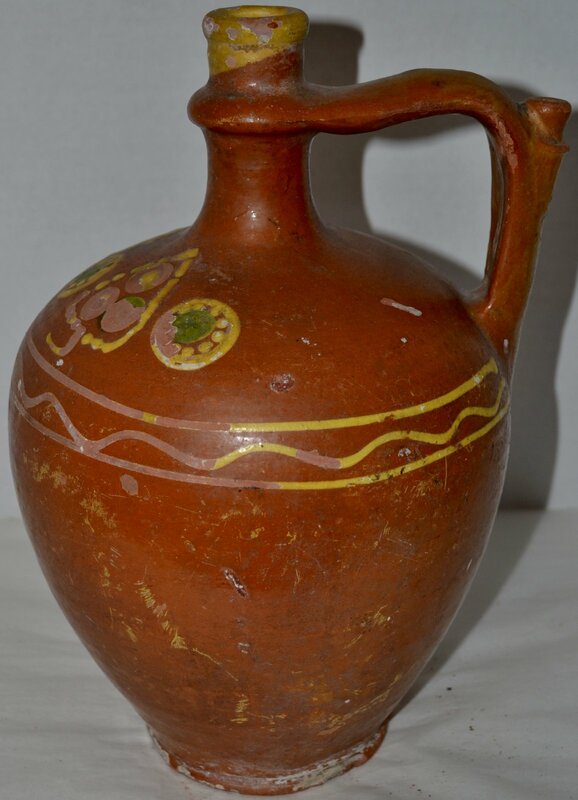 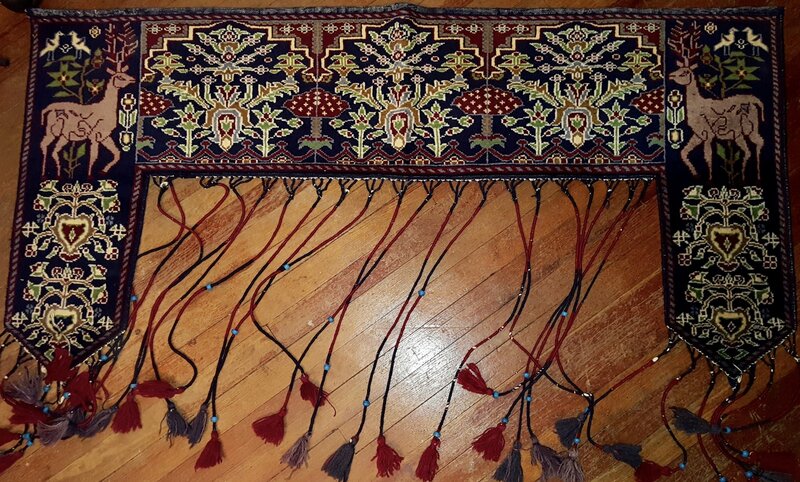 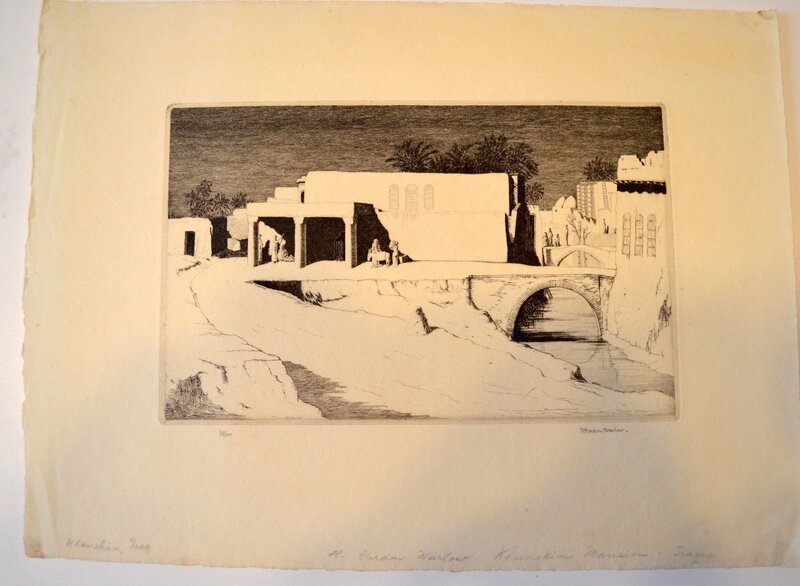 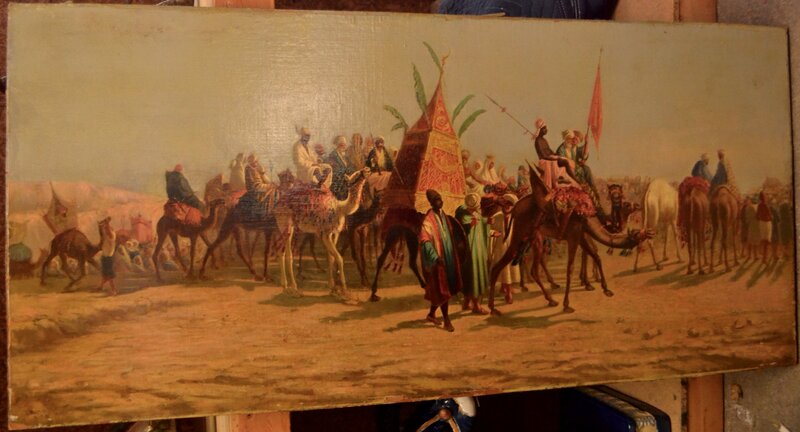 20th Century Middle Eastern Turkish repro of an old Turkmen door hanging. 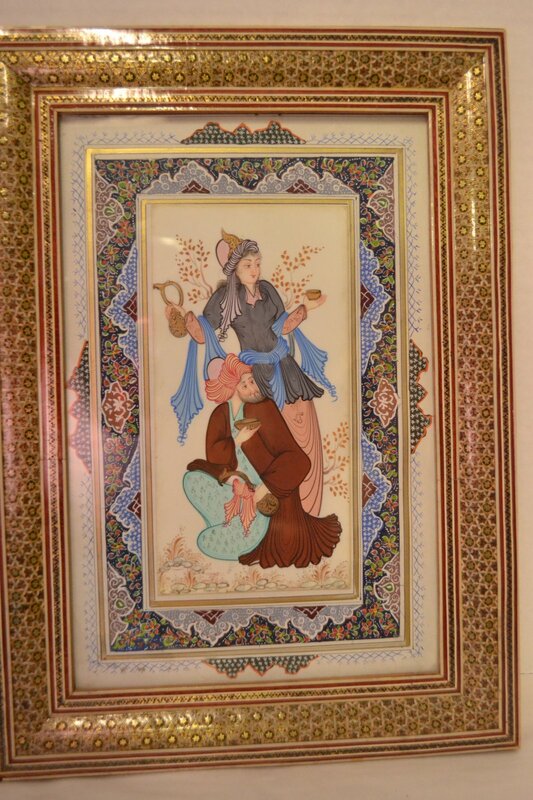 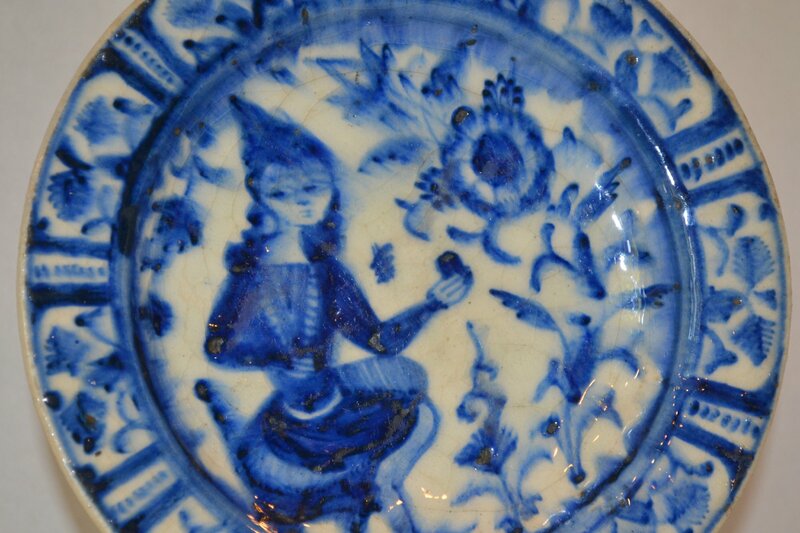 15th Century Persian White & Blue Plate w/ Figure & Flower Dia. 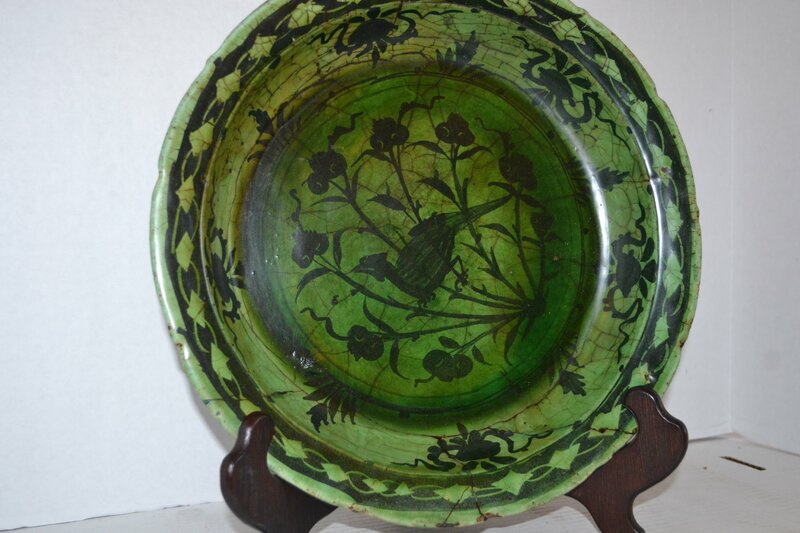 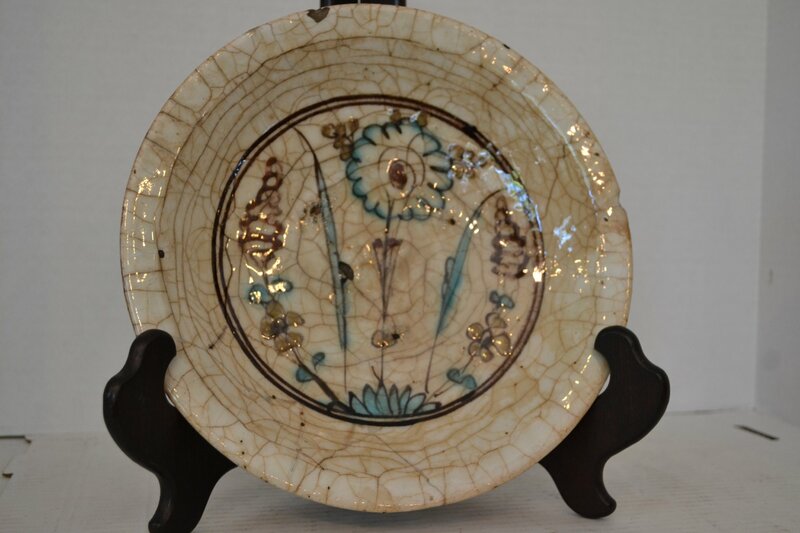 8.5"
15th-16th Century Koubatchi Ware, Persian plate w/ violet flower decoration Dia. 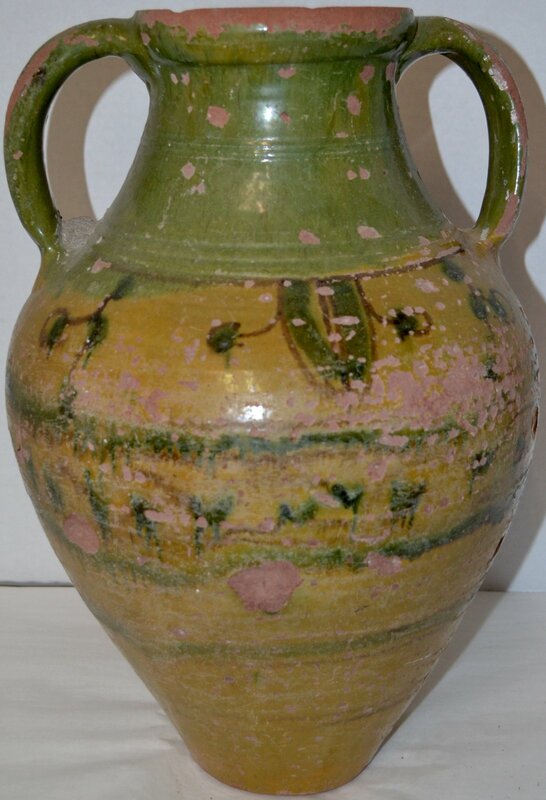 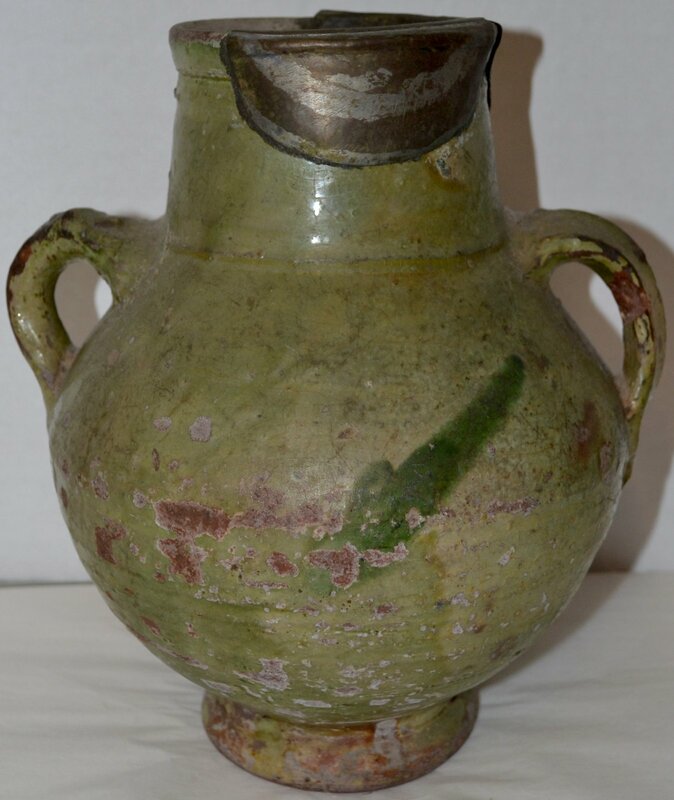 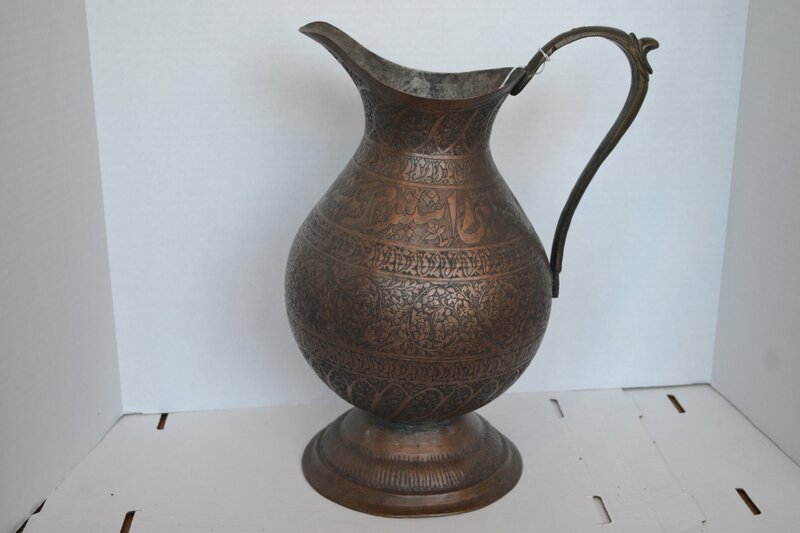 10"
18th Century Perisan Isphahan Water Pitcher H.15" X W.11.5"
18th Century Persian Green Plate w/ Pheasants H. 2" X Dia. 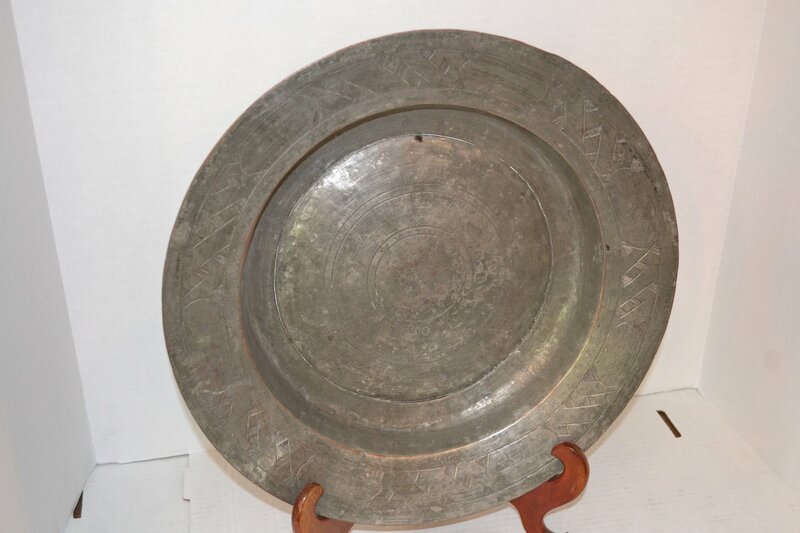 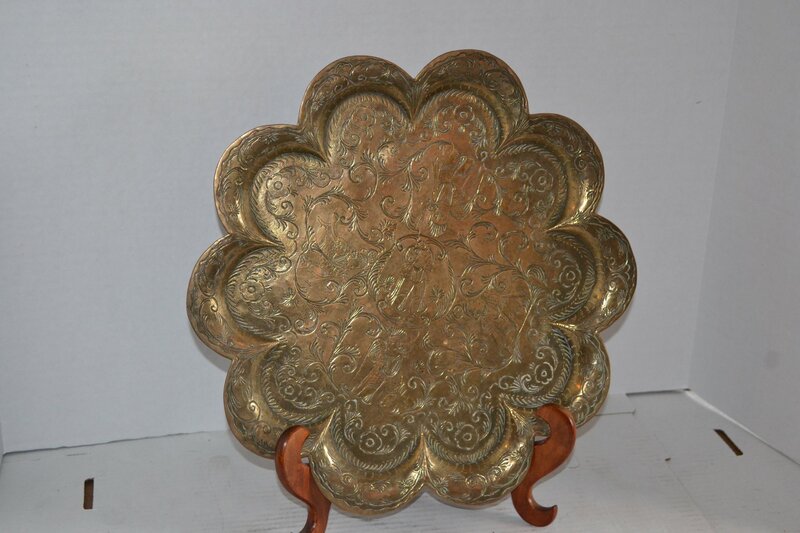 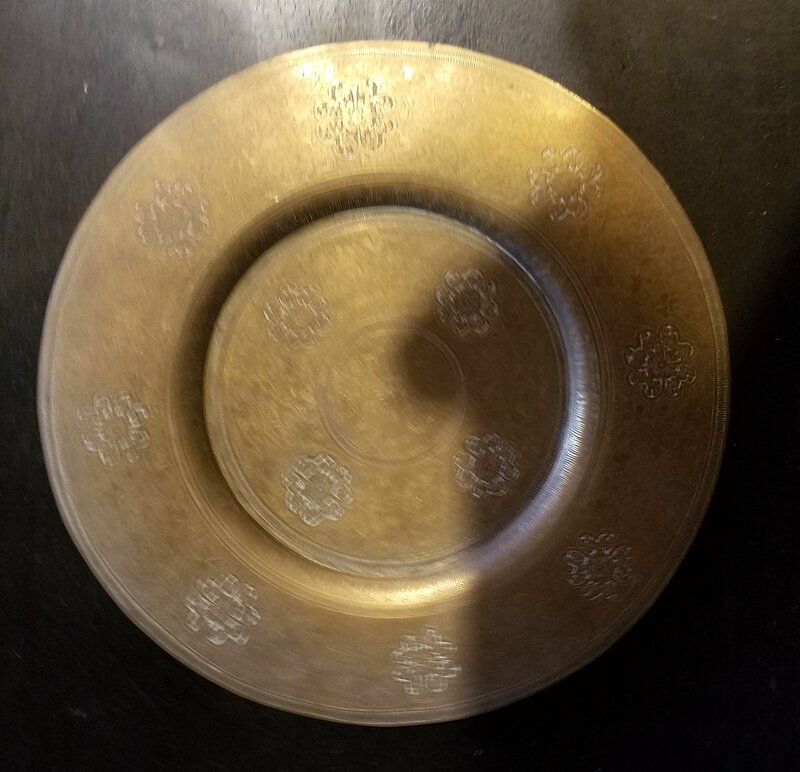 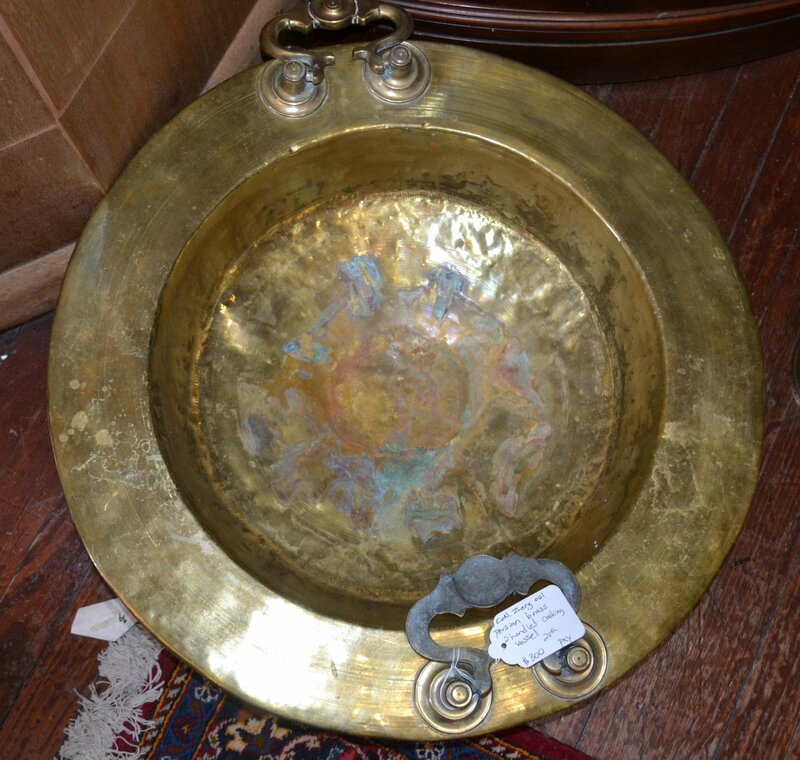 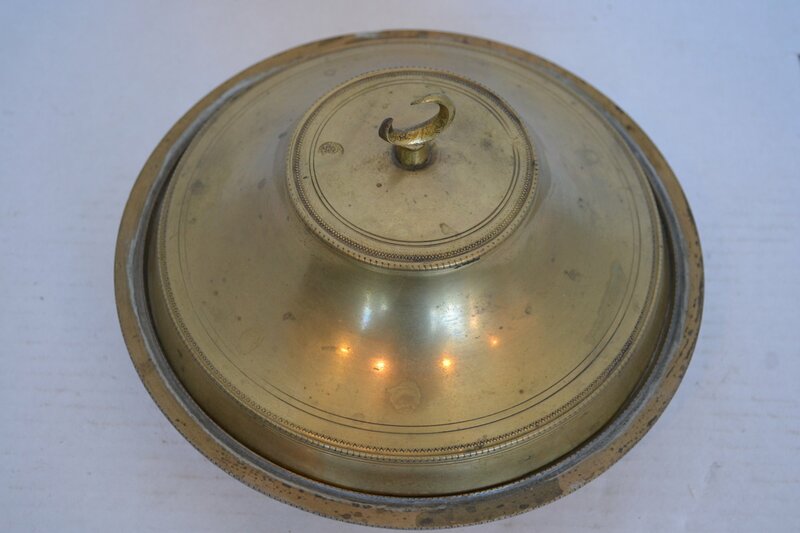 12.5"
19th Century Perisan Brass Charger Dia. 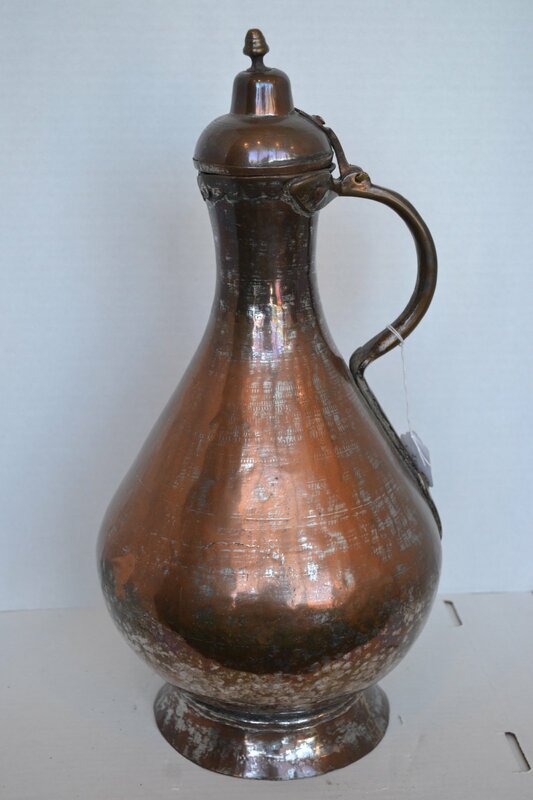 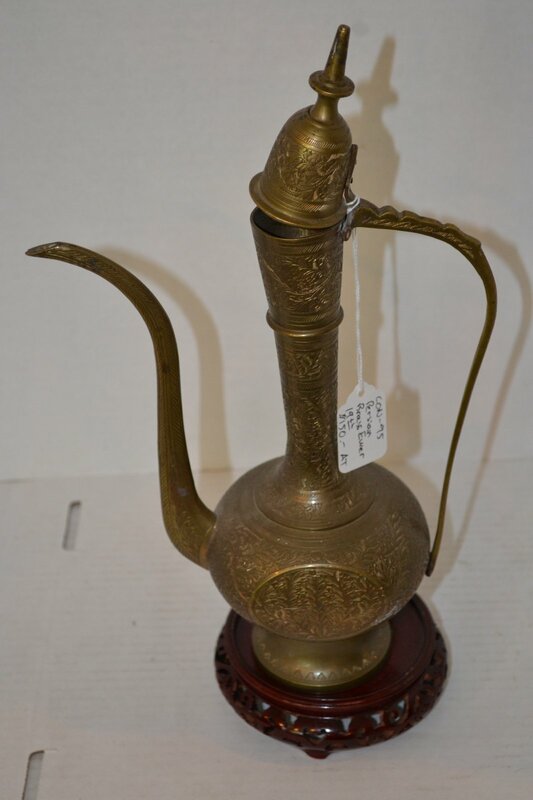 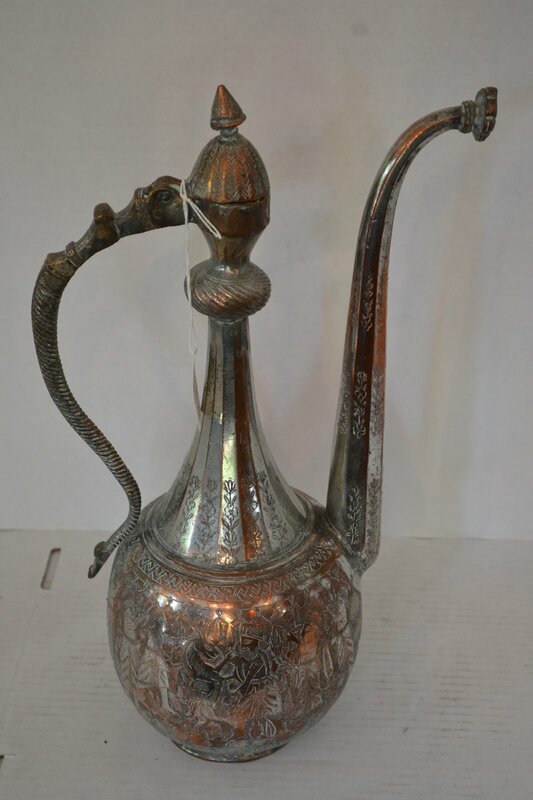 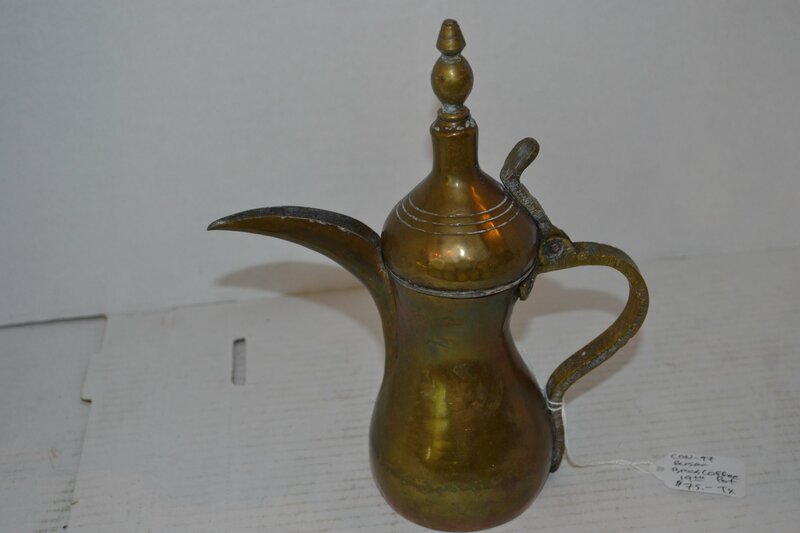 13 1/2"
19th Century Perisan Copper Ewer H.20" X W. 9"
19th Century Persain Brass Coffee Pot H. 9" X W. 7"
19th Century Persain Insence Burner H. 4.5" X W. 2.25"
19th Century Persian Brass / copper laddle L. 13" X W. 4"
19th Century Persian Brass Ewer w/ stand H. 15" X W. 8"
19th Century Persian Copper & Pewter detailed pitcher H. 16" X W. 9"
19th Century Persian Copper & Pewter dish Dia. 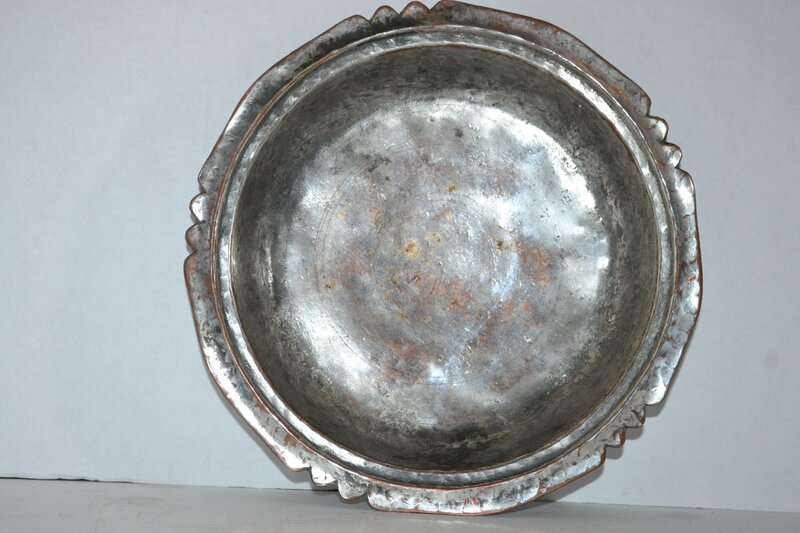 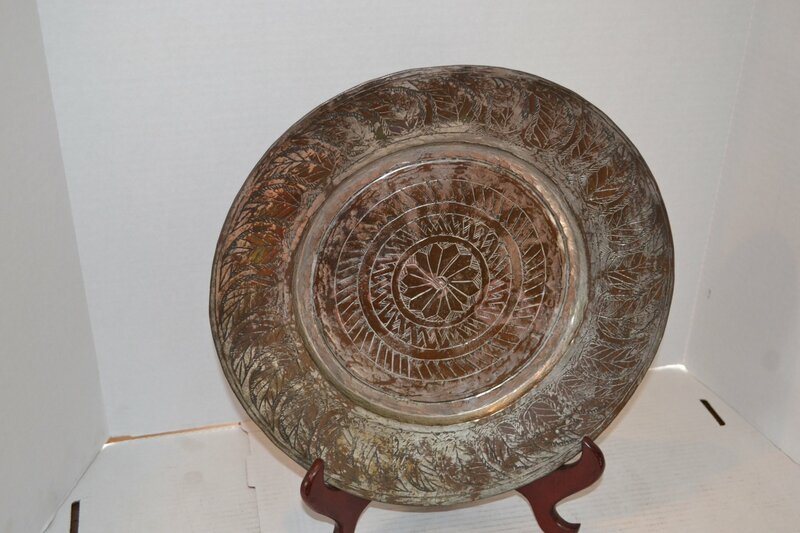 15"
19th Century Persian Pot With Handle H. 12" X W. 12"
19th Century Persian Tray Dia. 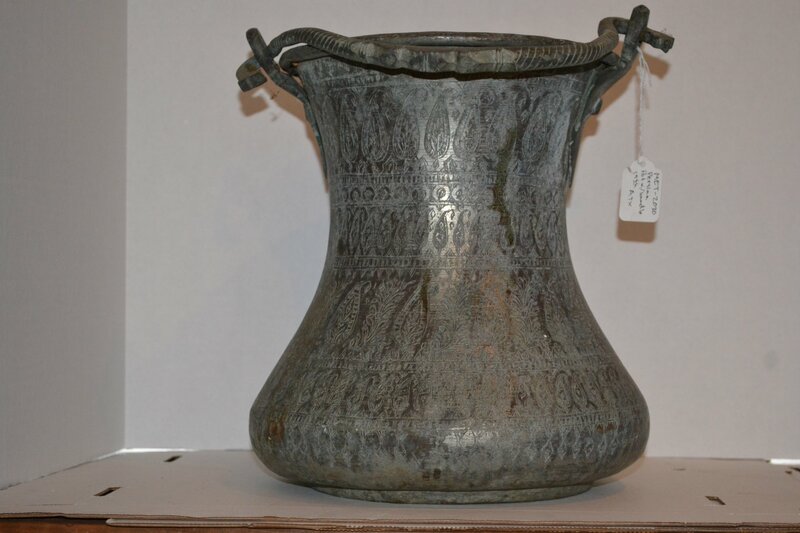 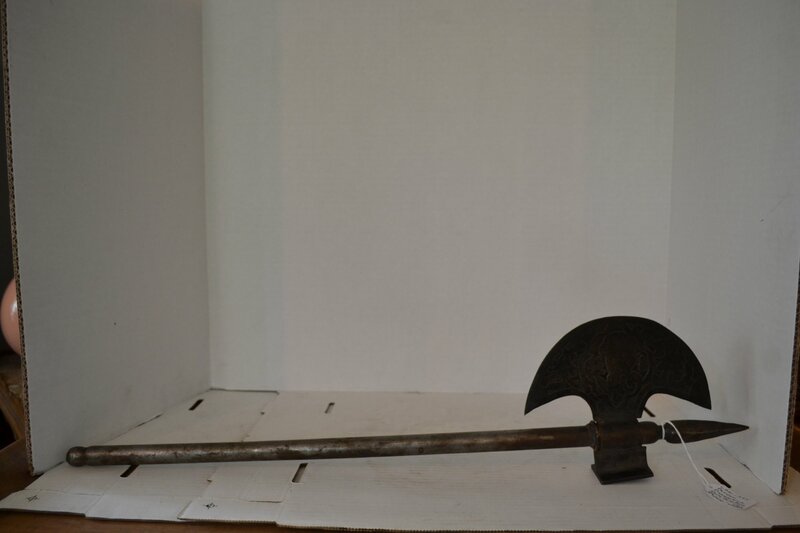 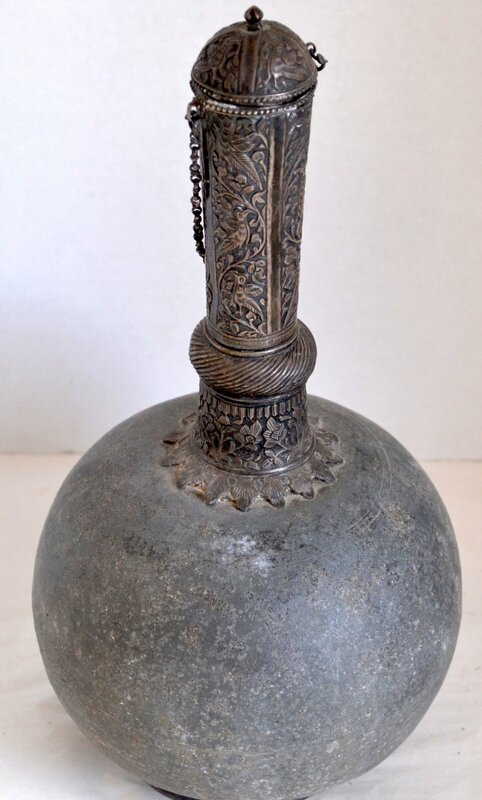 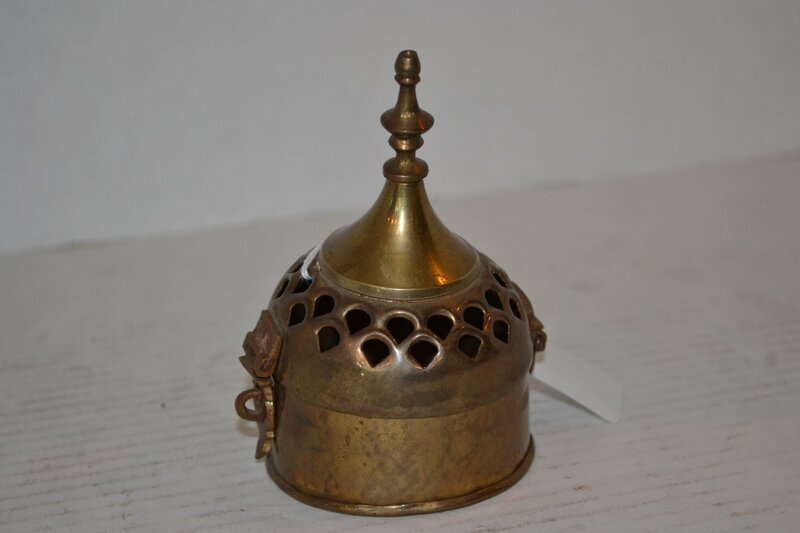 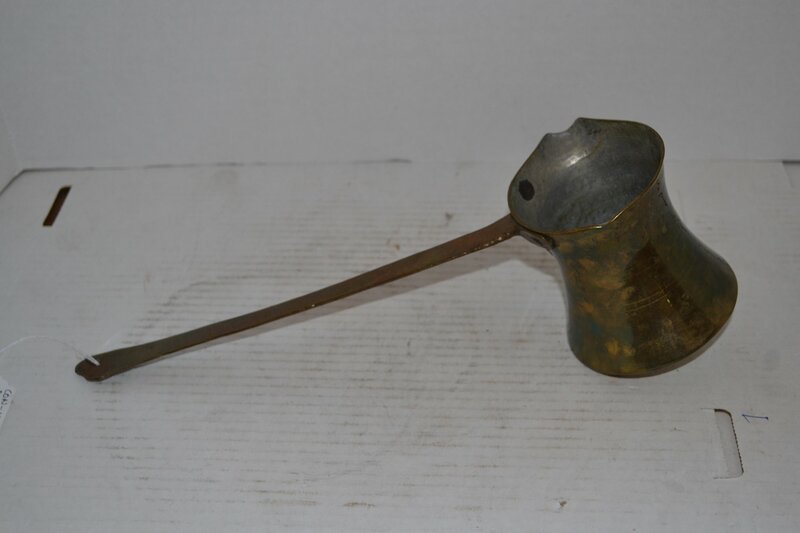 14"
19th Century Turkish Brass Incense Burner w/ lid H.4.5" X W.9"
20th Century Persian Decorative Hand-Axe L. 26" X W. 6"